In the first decade of the 21st century as many as a million residents of informal “slum” settlements were forcibly displaced from Delhi, India. Before this millennial moment, the decision to remove slums lay in the hands of the public agencies upon whose land they were settled. These agencies governed according to a long-standing practice of “rule by records,” the careful calculative and documentary oversight of the spaces they would govern. Thus, if a settlement on development authority land was to be removed, the development authority was charged with completing a complex chain of bureaucratic work: it had to notify the slum residents, survey their households to determine resettlement eligibility, collect resettlement fees, hire a demolition team, and so on. Not only was each of these steps bureaucratically challenging, but elaborate patronage relations connecting low-level bureaucrats with slum residents made the assembly of accurate survey registers nearly impossible. Survey records were tampered with, false names were appended to lists, and between the time when the survey was completed and when the agency obtained the necessary clearances, the number of people residing in the slum had changed, thus demanding a new survey and setting the same process in motion again. The complex inscriptive chains necessary for rule by records, in other words, became equally complex chains of social influence. Procuring a locally-registered ration card or receiving an official electricity connection were documentary means of deepening settlers’ claims to housing. Government as “rule by records” thus faced an avalanche of numbers and lists not produced by the state, but rather mobilized through state channels to rework the state’s very order. As a result, despite sustained efforts to reduce the growth of slums through the 1990s, the number of such settlements almost doubled over this period. At the turn of the 21st century, however, Delhi started to be re-imagined as a so-called world-class city, a vision of a city attractive to tourists and investors and visually on par with other global cities, such as Paris and Singapore. As a result of this vision—enshrined in a new master plan released in 2007—pressure rose in the early 2000s to remove slums, most forcefully from a wave of petitions that associations of local property owners filed in the courts demanding the elimination of slum-based nuisances. As the courts started to intervene in these cases, judges were confronted with the absence of accurate maps and land records that had hamstrung slum-removal efforts over previous decades. The courts responded by shifting the epistemological basis on which they assessed space. Instead of ruling by records, they started to “rule by aesthetics,” a mode of governing space on the basis of codes of appearance—what I call in Delhi a “world-class aesthetic”—rather than through the calculative instruments of map, census and survey. Rule by Aesthetics is organized into three broad parts charting the emergence, consolidation, and contradictions of this form of aesthetic governmentality. of-life concerns to consolidate the world-class aesthetic. They do so by showing how local statements of disgust about “the nuisance of slums” (e.g., “that slum stinks”) gained statutory force in the judiciary, as citizenship itself became increasingly equated with property ownership. This paved the way for a court-driven demolition drive (compellingly analyzed by Bhan (2016)) that cleared slums not because they violated statute or plan, but because they were aesthetically out of place. 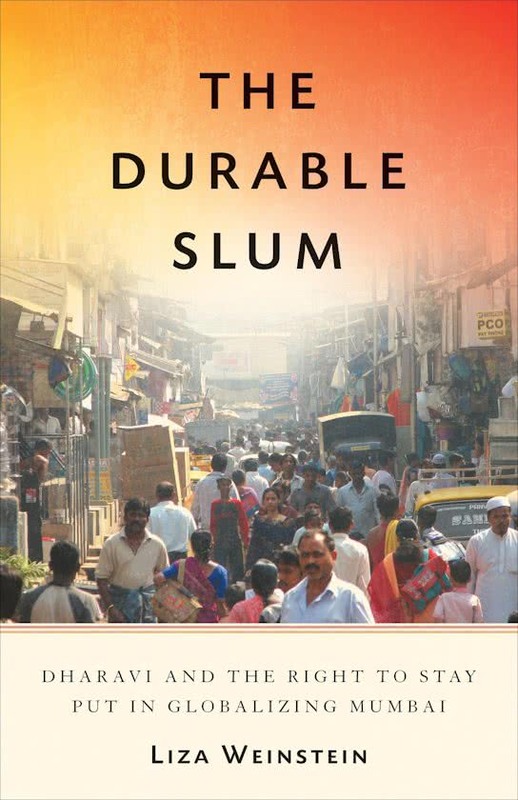 Chapters 5 and 6 examine how slum residents—once their documentary credentials of belonging were dismissed, and once they were cast as inherently out of place—creatively appropriated the world-class aesthetic, turning it toward unexpected ends. As far as the particular study of displacement goes, Rule by Aesthetics makes at least three broad contributions. First, while noting the profound role of land marketization and real estate speculation in fueling Delhi’s world-class city making project (especially chapter 1), the book does not presume that political economic interests automatically translate into urban change. In other words, the book doesn’t squeeze Delhi into a general tale of “land grabbing,” “gentrification,” or “accumulation by dispossession.” Despite being essentially about mass land privatization, the word “neoliberal” is absent from the book’s index. It instead follows the specific techniques and legal mechanisms by which displacement took place, noting how actors quite peripheral to these global theories—such as regional courts, middle-class homeowners, and low-level bureaucrats—were central to the consolidation of the world-class aesthetic. Following something like what Foucault called an “ascending analysis of power,” it shows how court-ordered demolitions certainly aligned with the interests of capital, but were not reducible to them. The world-class aesthetic thus works through an array of political imperatives, ranging from a reconstitution of political life around the presumed association between property and propriety, to an elevated concern with the city’s appearance in the eyes of foreigners, to the influence of global discourses of “good governance,” to a subtle re-enactment of a colonial interpretation of environmental law. Second, while the book paints a clear picture of winners and losers, it moves away from a binary notion of power (resistance vs. consent). There is by now a broad literature on the ways that the urban poor, and slum dwellers in particular, consent to the conditions of their dispossession and internalize the imagery and imaginary of the elite. This is part of a broader reading of poor people’s politics that begins by looking for forms of collective resistance or revolt, and when such resistance is missing (as it so often is), assumes that the poor are passive dupes, tricked by the state and elite. By observing slum residents’ legal battle against displacement and their everyday efforts to engage the world-class aesthetic, I consider a far more ordinary form of political agency often missed in celebratory accounts of collective action or writing on the production of consent. Slum residents did not reject the world-class aesthetic—doing so, I argue, based on a year of ethnographic fieldwork in a single slum threatened by demolition, would have simply confirmed to the rich and powerful that they did not recognize the new terms of governance. Nor did they internalize that aesthetic by simply accepting its terms, even though they freely used those terms, even incorporating them into their aspirations for improved housing. Instead, they appropriated the world-class aesthetic, using it to make a demand: they argued that if the city was going to become world-class, they too should be made world-class citizens. They accepted the aesthetic “truth” that said slums were dirty and out of place—accepting the necessity of slum removal, acting as “governable subjects”—but they reinterpreted the implications of this truth, arguing in a variety of fora that this also meant that all citizens of a world-class city should be provided with world-class housing. I track a variety of ways that slum residents experimented with the world-class aesthetic in chapters 5 and 6, ranging from the decorative ornamentation of their homes to their use of the language of the world-class city to gain positional advantage in the courtroom. In doing so, I move analysis of popular politics away from a focus on collective mobilization and immediacy of the sort fetishized by much urban scholarship and instead look at how the urban poor used everyday forms of aesthetic experimentation to create the conditions for a larger crisis of political rule precipitated by the rise to power of the Aam Aadmi Party in Delhi in 2014 (discussed in the conclusion), an upstart political party that drew upon slum residents’ own visions of the world-class city. Third, and most broadly, the book introduces and elaborates a theory of aesthetic governmentality, demonstrating how codes of appearance can be deployed to guide the population’s interest toward what Foucault called “the convenient ends” of government even in the absence of those scientific and planimetric techniques—maps, surveys, censuses—typically considered necessary to produce the modern city. Be it the visual evaluation of blight in North American cities, the urban beautification drives that precede every Olympic Games or FIFA World Cup, or Donald Trump’s promise to build a “big, beautiful wall”—translated into the Department of Homeland Security’s statement that bids for the wall will be judged based on “aesthetics”—it is clear that cities and infrastructures the world over are increasingly evaluated, and ruled, by aesthetics. D. Asher Ghertner is an interdisciplinary geographer interested in the technologies and tactics through which mass displacement is conceived, justified and enacted. His research uses the contemporary politics of urban renewal in India to challenge conventional theories of economic transition, city planning, and political rule. Asher taught for two years at the London School of Economics before joining Rutgers in 2012, where he is currently serving as the Director of the South Asian Studies Program.